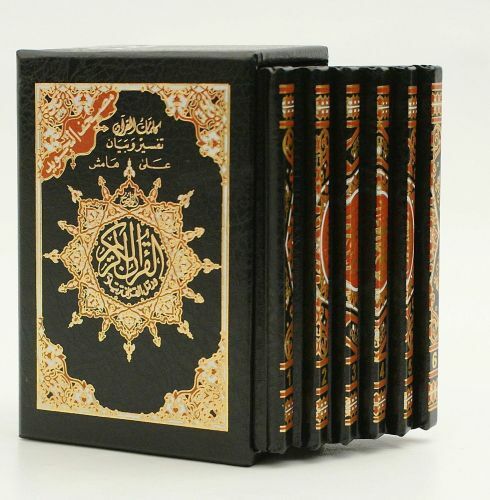 Colour Coded Tajweed Quran, divided into six parts and boxed in a solid case, in an easy to carry size. The color coded print is in Hafs narration, and nicely spaced for easy reading. Selected words are interpreted in the margin of each page, and useful indexes are included.